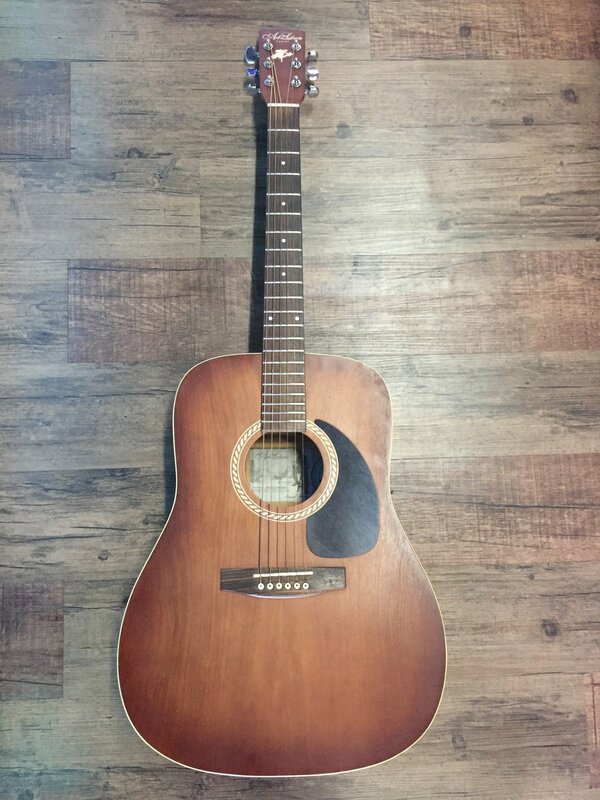 Art & Lutherse Wil Cherry Acoustic Guitar in great shape. It was mostly kept in a hard case so very minor wear on the body. Action is great with no fret buzz plays like a dream.